Profile-2-3D makes it simple and quick to convert any 2D polyline profile into a 3D Solid or 3D surface. 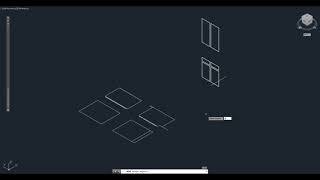 First create the 2D polyline profile of the object to be converted into 3D. Execute the App, make your selections and then click OK to convert it in one simple step to 3D solid. 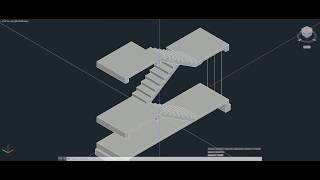 In this example video shown below we take a 2D drawing of a stairwall and convert it to a 3D model. Each section of the stairwall has been outlined with a Polyline for the profile conversion. The line at the top edge of the floor slab serves as a reference point for each extrusion. 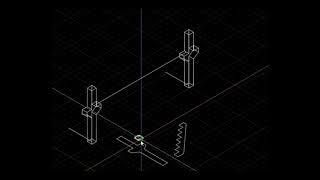 3D reference lines are created just above the 2D model for insertion points when each profile is extruded. Since each profile extrusion inserts at the midpoint of the point you select the 3-lines represent the mid point of the stair wall and 1'6" to each side for the 36" wide stairs.